NLC Recruitment 2019 - Below are various recruitment notifications published by NLC India Limited / www.nlcindia.com. As of now, we don't have any active recruitment notification by NLC featured here. We may update as soon as the organization announces a new job notification. If you are looking for any information related to previously organized recruitment drives by NLC, you can browse through previous job notifications mentioned below and get the new updates or information you are looking for. & Graduate Apprenticeship Training (GAT) Posts in NLC, Tamilnadu on Temporary Basis. Online Applications are invited by NLC India Limited from 16 Oct 2018 10:00 AM to 25 Oct 2018 til 05:00 PM for 635 vacancies. NLC Recruitment 2018 - Apply Online for 67 Manager, GM, MO & Other Posts in NLC India Limited. 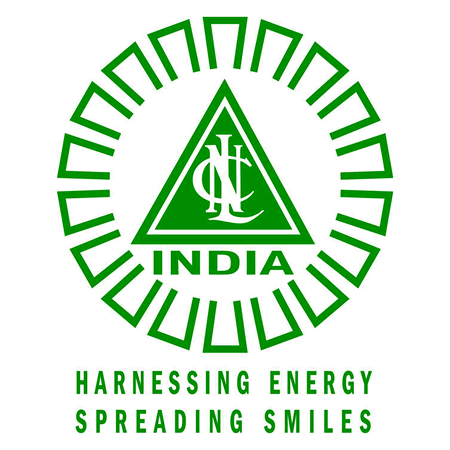 Online Applications are invited by NLC India Limited from 19 Sep 2018 to 09 Oct 2018 05:00 PM for 67 vacancies. NLC Recruitment 2018 - Apply Online for 765 Apprentice Posts in NLC, Tamil Nadu. Online Applications are invited by NLC India Limited from 16 Jul 2018 at 10:00 AM to 25 Jul 2018 till 05:00 PM for 765 vacancies. NLC Recruitment 2018 - Apply Online for 90 Apprentice Posts in NLC. Online Applications are invited by NLC India Limited from 25 Jun 2018 from 10:00 AM to 04 Jul 2018 til 05:00 PM for 90 vacancies. NLC Recruitment 2018 - Apply Online for Ex-ITI Apprentice Trainees Posts in NLC, Rajasthan on Apprenticeship. Online Applications are invited by NLC India Limited from 02 May 2018 at 10:00 AM to 11 May 2018 till 05:00 PM for 7 vacancies. NLC Recruitment 2018 - Apply Online for 50 Industrial Trainee Posts in NLC on Temporary Basis. Online Applications are invited by NLC India Limited from 07 Mar 2018 10:00 AM to 27 Mar 2018 05:00 PM for 50 vacancies. NLC Recruitment 2018 - Walk in Interview for 23 Sr. Resident & Jr. Resident Posts in NLCIL General Hospital, Neyveli, Tamil Nadu on Tenure Basis. Candidates are invited by NLC India Limited on 17 Jan 2018 at 9 AM for 23 vacancies. NLC Recruitment 2018 - Apply Online for 150 Graduate Executive Trainee GETs Posts using GATE 2018 Score (Mechanical, Electrical (EEE), Electrical (ECE), Civil, Control & Instrumentation, Computer, Mining). Online application are invited by NLC India Limited on 06 Jan 2018 (10:00 AM) to (05:00 PM) on 27 Jan 2018 for 150 vacancies. NLC Apprentice Recruitment 2017 - Job notification for 460 Apprentice Posts (Technician Apprenticeship Training (TAT) & Graduate Apprenticeship Training (GAT)) in Tamil Nadu on Apprenticeship. Online Applications are invited by NLC India Limited from 10 AM of 27 Dec 2017 to 5 PM of 05 Jan 2018 and sent Print Out on or before 5 PM of 10 Jan 2018 for 460 vacancies.